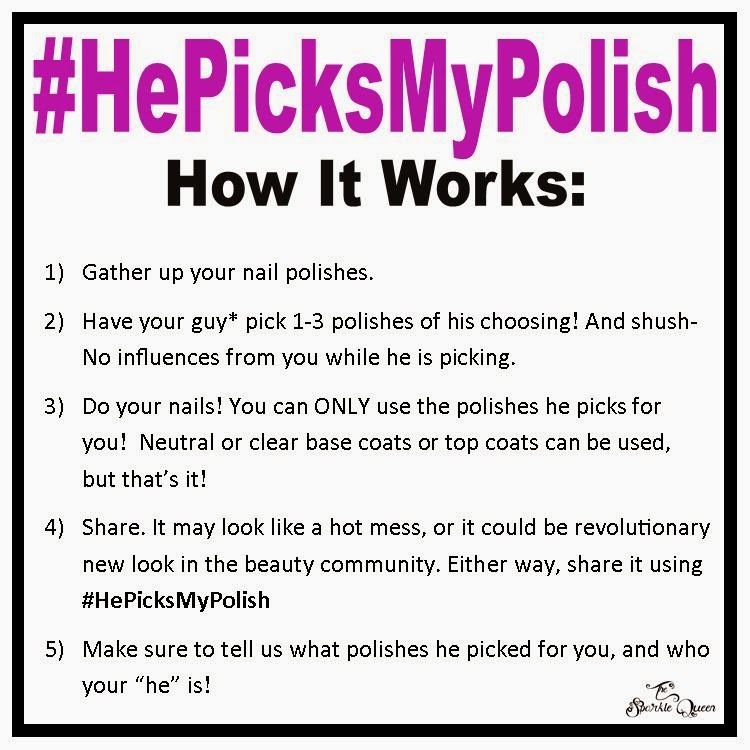 Have you heard about the #hepicksmypolish challenge? Well if not, you are missing out, becuase it is TONS of fun. Well, there is a March challenge that will be happening the 23rd-29th. You DON’T have to be a blogger to enter, if you can link to it, you can add it! And – you only need to share ONE LOOK! Obviously, if you want to add more looks, go for it! So make sure to invite your friends, readers and any polish lover in your life to join in. There is going to be a blog-hop happening, which you can get the code for HERE, or you can join our Facebook group HERE to get more information. Thanks Lisa! It really is, and it's hilarious to see what (and how) some of the guys pick! Im so looking forward to participating for the first time in this!! Yay! Glad to have you joining in! Oh my pleasure! 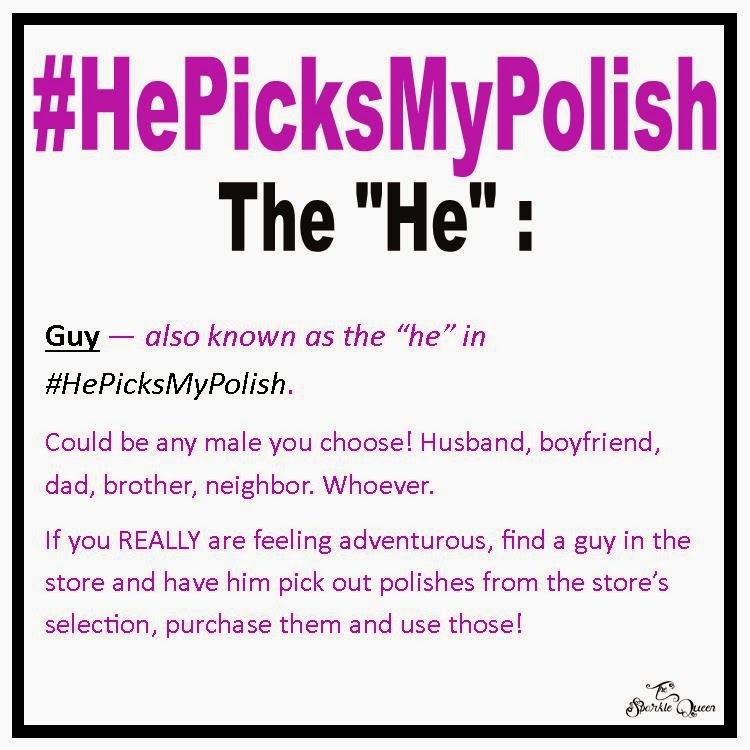 Can't wait to see what he picked for you! I posted my finished nails on my Google page. Just click on my name to see the pictures I posted. I had fun. My hubby picked me two colors from sinful colors which were Midnight Blue and San Francisco green. The third polish choice my hubby picked was Black Heart Beauty Purple Feather. I used Beauty Secret Base coat and Seche Vite dry fast top coat. It was very challenging sticking to only three colors and I found myself wanting my acrylic paints. It was definitely fun including my hubby. He took interest with the whole process which was neat.